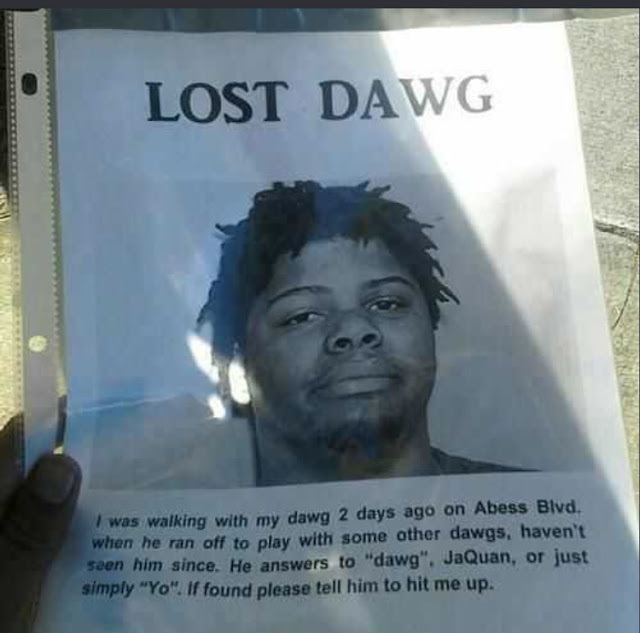 Funny Lost Dawg Sign - I was walking with my dawg 2 days ago on Abess Blvd, when he ran off to play with some other dawgs, haven't seen him since. He answers to "dawg", JaQuan, or just simply "Yo". If found please tell him to hit me up.